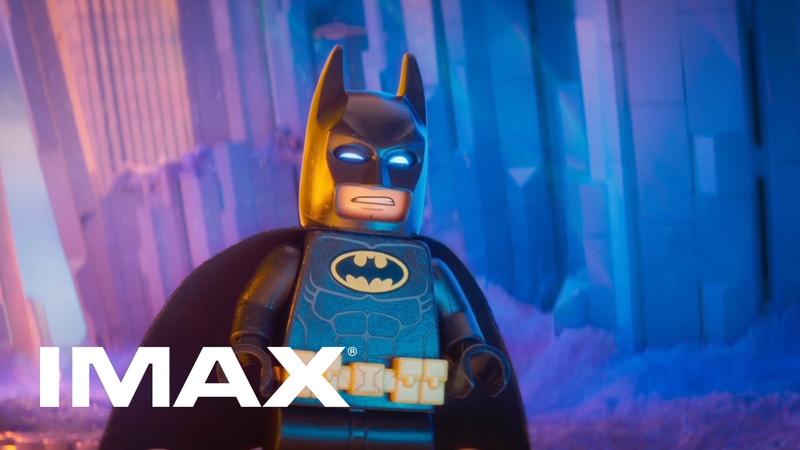 The IMAX release of The Lego Batman Movie will be digitally re-mastered into the image and sound quality of The IMAX Experience® with proprietary IMAX DMR® (Digital Re-mastering) technology. The crystal-clear images, coupled with IMAX's customized theatre geometry and powerful digital audio, create a unique environment that will make audiences feel as if they are in the movie. It’s time to go where no brick has gone before. 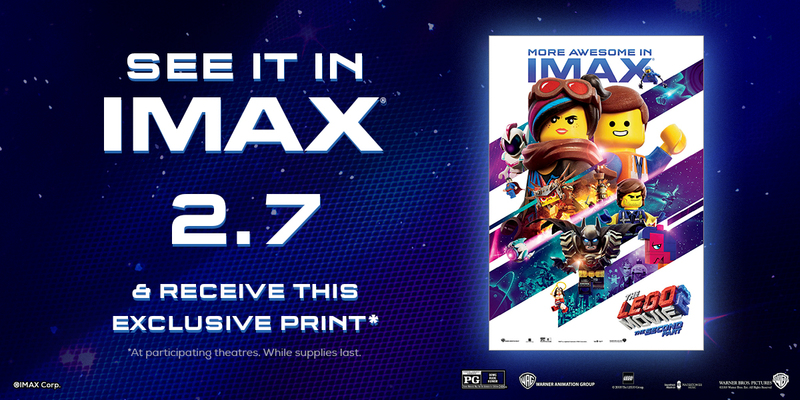 Experience The LEGO Movie 2: The Second Partin IMAX on opening weekend and return with giveaways that are out of this world! 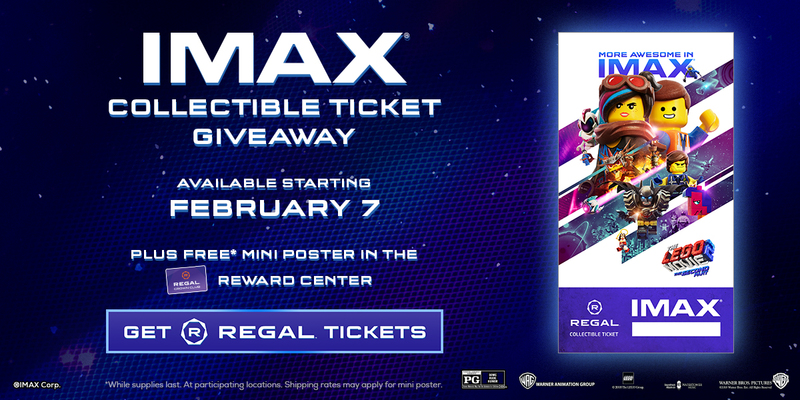 Experience The LEGO Movie 2: The Second Partin IMAX at Regal Cinemas on opening night 2/7 and you’ll receive an exclusive collectible ticket, and a free promo code to redeem for a mini poster in the Crown Club Reward Center. Giveaways are available while supplies last and only at participating theatres. Full shipping rate will be applied for mini poster. 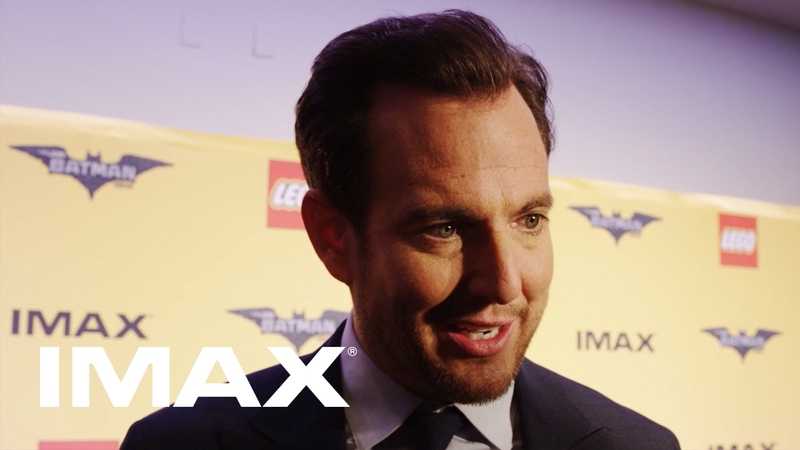 To get your tickets to experience Lego Movie 2in IMAX, CLICK HERE. Be one of the first to see The LEGO Movie 2: The Second Partin select IMAX at AMC theatres in San Francisco, Los Angeles and New York. This special advance screening will take place on Saturday, January 26th.